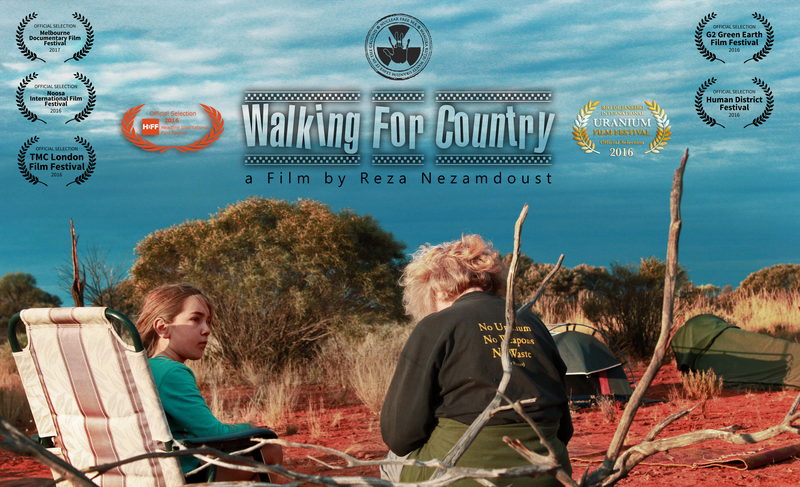 The Walkatjurra Walkabout for this year is now full… If you still want to come you will have to arrange your own transport out… Or register here to go on our waiting list and if a spare spot comes up we will let you know. 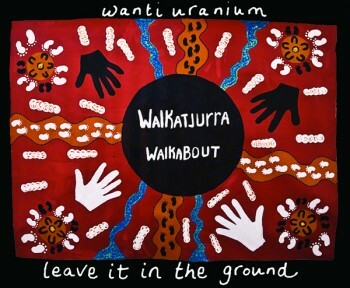 As we wait patiently for the Labor Party to make their decision on uranium mining in Western Australia lots of people are sending messages and selfies to the labor party encouraging them to make the right decision and implement a ban on uranium mining. 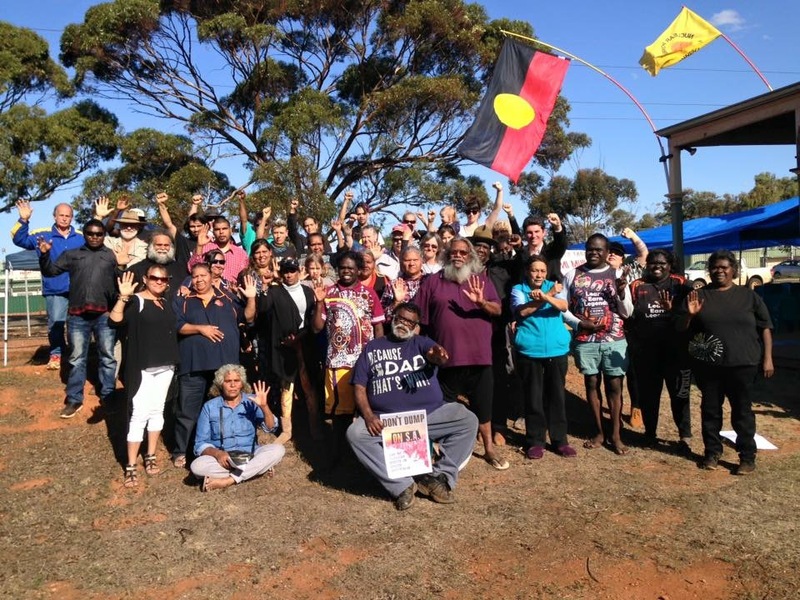 Janice Scott is a powerful voices for the Spinifex people who are fighting to protect their country from uranium mining. The Spinifex people settled in WA at Cundeelee station in the 1950s as refugees from the Maralinga British Atomic weapons test in SA. 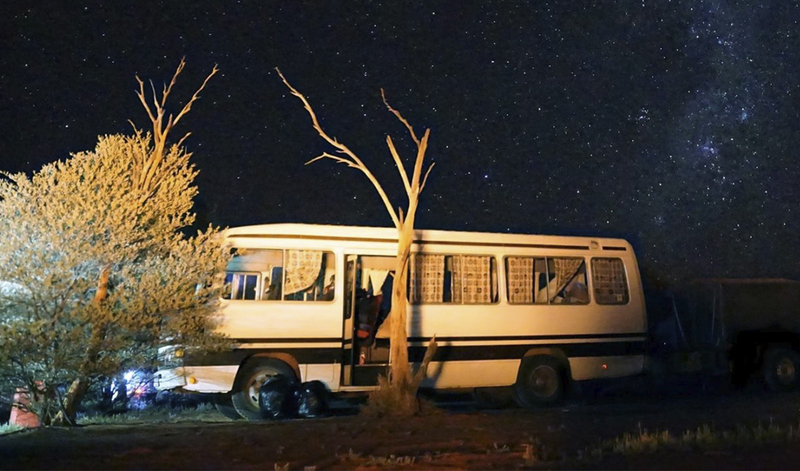 They have lived and practiced law and culture in the area around Mulga Rock since then. They know the stories for that country and have used those areas for generations. Janice and her family and other Spinifex people love that country like it is their own, they have looked after it and are worried that the nuclear cycle threatens their home again. 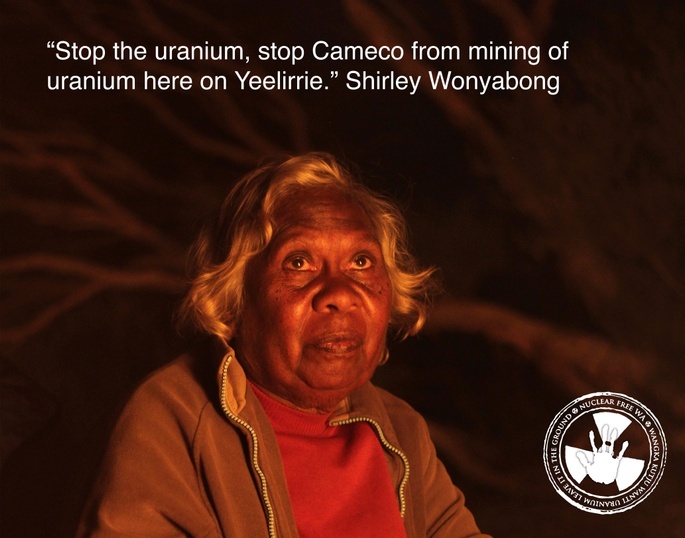 After the appalling decision by state Environment Minister, Albert Jacob we are starting a fighting fund to protect Yeelirrie from being mined. action so we can contest this terrible decision in court! Please donate like and share! Our state remains uranium free. After eight years of support and subsidies for uranium mining from the Barnett Government, our State remains nuclear-free. 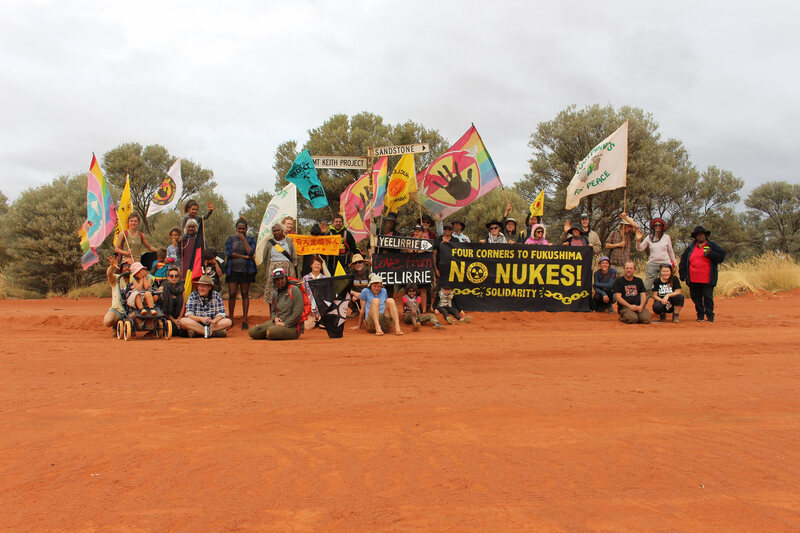 There are no operating uranium mines and no uranium projects with final approval to mine. 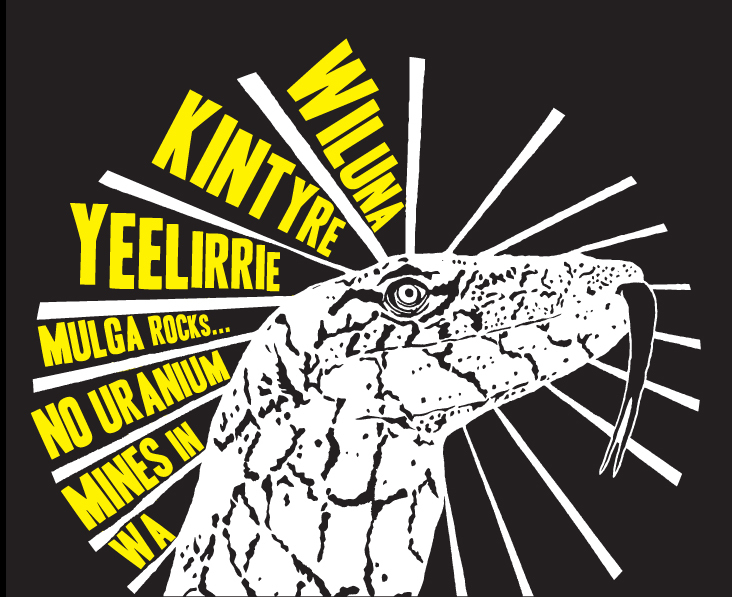 But with the election looming, uranium companies are knocking on the door to mine four uranium deposits on Aboriginal land – Kintyre, Yeelirrie, Wiluna, and Mulga Rock. If these mines go ahead they will put the environment, communities, workers, and cultural heritage at risk. The WA Labor party have a policy position opposing uranium mining and it’s time we let them know how important and popular that position is. 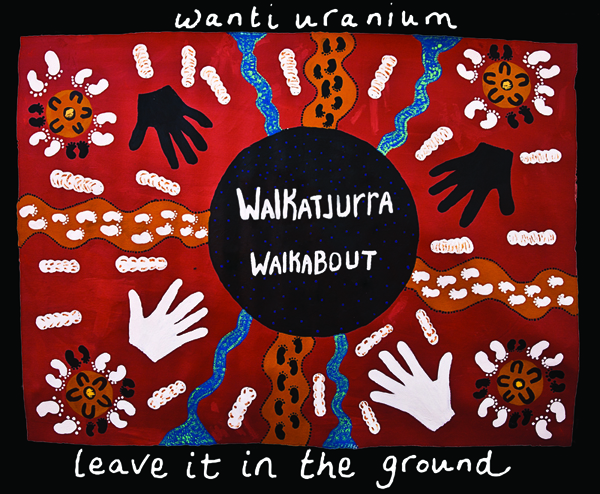 If WA Labor win the election it’s important they take action to ban uranium mining – to get this on their agenda we need you and your support to send a message to Labor candidates and members. We have just picked up a new run of T-shirts with the Walkatjurra Walkabout design done by Vicky McCabe and also another batch with the Lizard design. There is also a small run of hoddies being done with the Lizard design on the back.. The Walk this year is still in the planning and we are hoping to have dates set soon. It looks like it will be in August – September, but we will let you know as soon ans we have it all sorted..
I’ll write a bigger update soon and let you all know what is happening, but for now we just wanted to let you know that Yeelirrie just got Ministerial approval – that’s the one that the EPA rejected. Here’s a link to all the docs if you want to read them – so it’s really time for action. If you can come to a BUMP meeting tonight ( Tuesday 17th at 5.30pm at Clancy’s in Fremantle to plan otherwise please stay posted for action. As we come closer to the State election the Liberal party is pushing these approvals as all the polls are showing a Labor Party victory. This has no community support and goes agaist the recommendations of the EPA.. 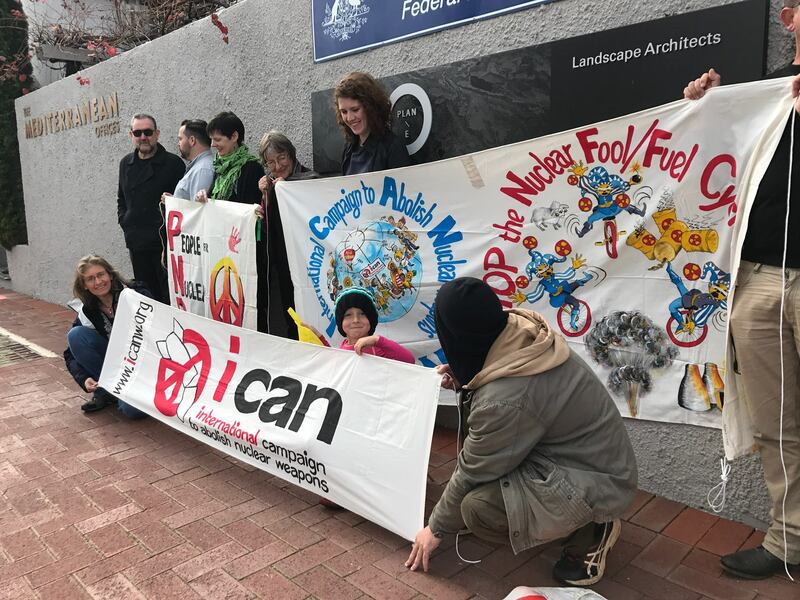 If you are in the Fremantle area then please come down to Clancy’s tonight and be a part of making plans to stop this from going ahead..
You can have your say on all of them by signing the Uranium Free Charter here. 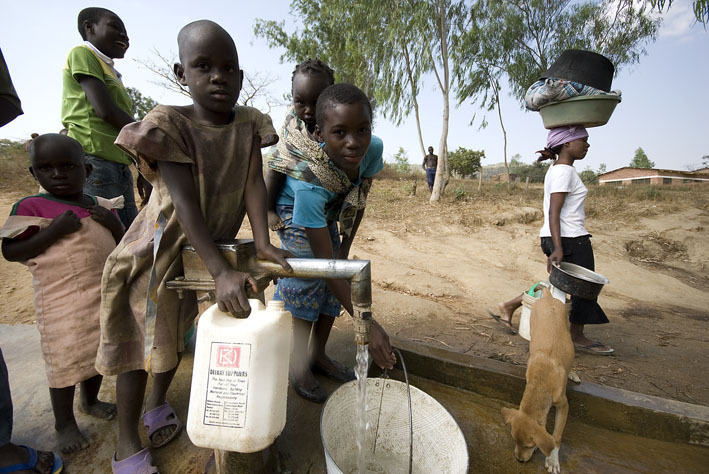 You can add your own message about these three projects – and an e-mail will be sent to WAs political leaders. You can also have a huge impact by calling your local candidates to show your support for reintroducing the ban on uranium mining in 2017. You can find your Labor candidates here, and your Labor MPs here, you can find your Greens Members here, your Liberal candidates here and your Nationals candidates here. Or you can send a message to the leaders by signing the Uranium Free Charter here.